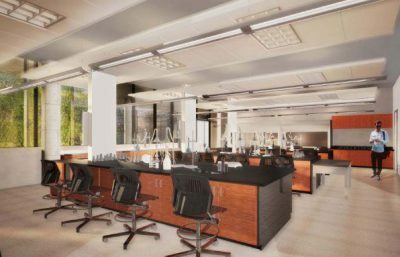 Claremont, Calif. (April 1, 2019)—The Pitzer Family Foundation (PFF) has donated $3 million to Pitzer College to support the growth and expansion of science facilities at the W.M. Keck Science Department (KSD), which is transitioning to a joint Pitzer College and Scripps College program. Along with a $1 million donation from the PFF in April 2017, this gift will reinvigorate Keck Science’s facilities and academic programs to provide a more effective twenty-first century science education for Pitzer and Scripps students. 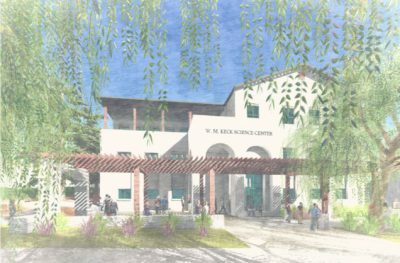 It will also enable the colleges to move forward with the construction of a new $65 million shared science facility located directly west of the original KSD building. The W.M. Keck Science Department (KSD) focuses exclusively on undergraduate science education and provides instruction in small-classroom and lab settings while offering numerous opportunities for students to conduct research. KSD is administered cooperatively by the participating colleges and is a national leader in the development of interdisciplinary science courses and programs. Since 2002, the number of Pitzer students majoring in sciences at KSD has increased by almost 300 percent with students’ growing realization that basic scientific literacy is ever more crucial to pursue their commitment to social justice and engaged citizenship. More Pitzer students currently major in one of the biological sciences, which include biochemistry, biology, biophysics, human biology, and molecular and organismal biology, than any other discipline. Both biology and human biology consistently rank among Pitzer graduates’ top 10 majors. Forty Pitzer students majoring in science were awarded prestigious post-graduate fellowships, including many Fulbright scholarships and National Science Foundation (NSF) awards. The Pitzer family’s sustained generosity and involvement have been vital to ensuring the success of Pitzer College since Russell K. Pitzer’s founding gift in 1963. Over the intervening 55 years, the family has consistently stepped forward to lead the way at pivotal moments in the College’s history, most recently in support of KSD. Pitzer College was founded in 1963 by the citrus grower and philanthropist Russell K. Pitzer. The PFF has continued a tradition of generous support for the College. In 2007, it provided $5 million for the construction of Sanborn Hall in Phase I of the College’s Residential Life Project in memory of Flora Sanborn Pitzer, the founder’s wife. The Foundation also gave $500,000 to establish the Pitzer Archive and Conference Center in Skandera Hall in 2012. In addition, members of the Pitzer family have established numerous endowed scholarships, professorships, and an endowed directorship of international programs at the College.